All I am looking for is temperment wise, size isn't a huge issue. i find that in my PERSONAL experience... that dutch are very.. um...what's the word... they have a lot "tude. Not mean... but very dutch. Stubborn and wanting their own way. I've never owned a Holland, but I have raised Dutch and currently raise Mini Lops. I'd take ML's any day of the week over a Dutch (no offense to Dutch folks). All of the Minis I have been around are pretty laid back, friendly, etc., whereas the Dutch were touch-and-go. Some were alright and some were flighty and/or cranky. I agree with the above post about them wanting their own way, lol. Get a Male Holland lop thats at least 4 months old.babies are all too similar in temperment.does can be cranky when they want bred.I have raised all of those breeds. I think when people were developing the lop breeds= they inadvertently selected for placid rabbits. 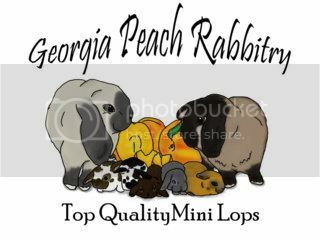 I raise mini lops and they are my first breed out of the ones you listed. They are a little bigger and I have a doe that gets flat out vicious when she wants bred and all my does tend to kick but my buck is very calm and lethargic in his hole and turns into this perky, curious, awesome rabbit in the play yard. I would recommend getting a just weaned kit if you go with a ML. Holland lop buck.they are friendly,tolerate rough handling by children,curious and sweet.i have raised all of the breeds you mentioned.minilop would be my second choice. Mini lops:) the way they were raised makes a huge difference in what I've seen in other peoples Mini lops and my own..I have one holland as a pet and she isn't mean but she isn't one to run up to you for a pat and I've had her since I raised her back to health as a really young rabbit in a petstore that my boyfriend got me. (big mistake on my boyfriends part but she has bonded pair status now with first pet rabbit, my part Mini Lop Jack ) my herd sire is awesome and hangs out his head for scratches ( bought him from Hendricks Hearth on here a few moths ago ) and He has produced me offspring that love to get attention and run to the front of the cage for head scratches too! Lol they are all unique with their personalities,minus the foul tempered one on occasion, you just cull the temperaments that don't fit your program. Holland or mini. My hollands are the sweetest creatures, even the does. I take the show buck to school with me periodically, and he is handled by small kids and he is quite the star. I just acquired a mini-lop, an American Tan, and a pair of Netherland Dwarf, and I've been observing them. The mini-lop sleeps all the time. The Dwarfs barely sleep, and are so fast, I have to be careful handling them or they will try to jump out of my arms. The Mini-lop is so laid back compared to the Netherland Dwarfs- to the point where I was beginning to worry there was something wrong with her, but I don't think there is she is just very mellow and lazy. The Mini-lop would be a good pet for a kid, but not the Netherland Dwarfs—they are just too fast and jumpy (but I do like them a lot they make me laugh because they are so small and feisty). Of the rabbits I have, The American Tan I got is actually my favorite of the breeds so far, she isn't as mellow as the mini-lop, but is very tame, and she is more entertaining, she frolics in her cage and plays a lot compared to the mini-lop so she is fun to watch—she also seems the smartest, like she recognizes me and is happy to see me. Also I'd like to add, I put the female Netherland dwarf and mini-lop together for 2 seconds and the Netherland dwarf attacked her- the Netherland Dwarf is only half the size of the Mini-Lop and the poor mini-lop was just trying to get away. So Yep, Netherland dwarfs- seem really feisty- and it's too bad because they are so small they could be kept in a cage in a child's bedroom easily- but they are difficult too handle. Yeah... when people ask me if I have Netherland dwarfs I give them a little heads up on their usual temperament. Sure they are cute, but not what I recommend for a pet home. Smaller is cuter, but it isn't so cute when it attacks or avoids human contact. 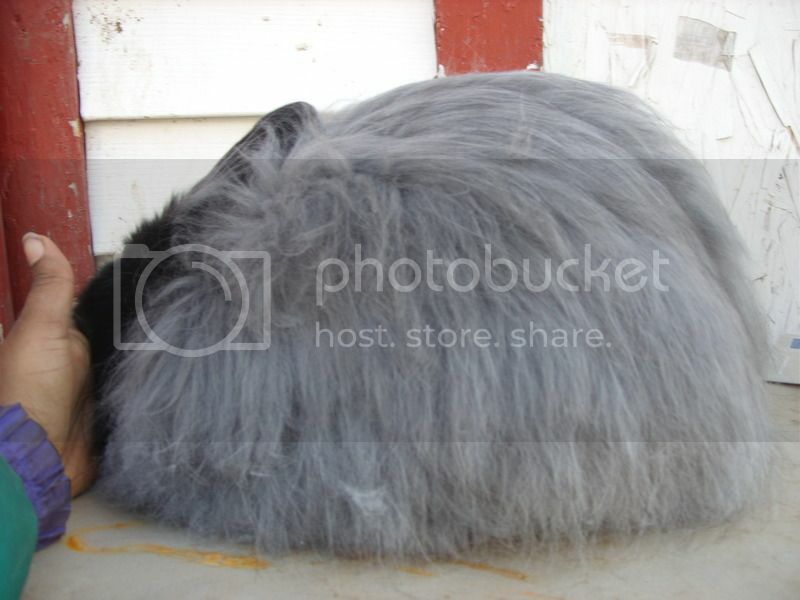 The most aggressive breed that I have had mentioned to me from just random people I've happen to have talked to that have owned rabbits seem to have the same experience....got a dwarf and it was more interested in attacking or hiding beneath the bed....so they got rid of it. I didn't even know rabbits could be nice until I met Jack and that kicked off my rabbit obsession, particularly for the Lops So many people get turned off of rabbits because of a single experience, although they can be super great pets! Jersey woolies are also a good alternative to netherland dwarfs. Mine are all layed back and sweet.